Ms. Ronna CHAO is CEO of Novel Investment Partners Limited, Chairman of Novetex Textiles Limited, and a Director of Novelpark Investments Limited. Her responsibilities in these various capacities cover investment and portfolio management, property redevelopment, and textile manufacturing. Prior to joining the Novel Group, she began her career in New York first as a Mergers & Acquisitions financial analyst at Goldman Sachs, and then as an associate in the Licensing Department of the lifestyle and apparel company Tommy Hilfiger Corporation. Ms. Chao is also CEO of Bai Xian Asia Institute (BXAI). BXAI is initially funded by the Chao family’s Bai Xian Education Foundation (BXEF) which has earmarked US$100 million for the “Asian Future Leaders Scholarship Program” (AFLSP). The AFLSP is managed by BXAI and offers up to 105 scholarships each year for Asian students to study abroad at one of 16 leading universities in Northeast Asia. In 2016, BXAI was one of the award recipients of “The Peak Power List 2016 – Philanthropy”. Ms. Chao also serves as Supervisor and Board Trustee at the International Christian School of Hong Kong, Board Director of Mother’s Choice, Standing Vice Chairman of The Hong Kong Association of Zhejiang Entrepreneurs, and Counsellor of Our Hong Kong Foundation. In addition, she was a Court Member of the Hong Kong University of Science and Technology from 2010 to 2016. Ms. Chao is a Standing Committee Member of the 12th Zhejiang Provincial Committee of the Chinese People’s Political Consultative Conference (CPPCC). Ms. Chao has a Bachelor’s Degree in International Relations from Brown University, and earned her M.B.A. from Stanford University. She also spent a year as an undergraduate at Keio University. Ms. Joyce WONG is the Programs and Operations Manager at Bai Xian Asia Institute (BXAI). Prior to joining BXAI, Joyce was a leadership fellow of the Asia Pacific Leadership Program at the East-West Center in Honolulu, Hawaii. There, she joined a diverse community of professionals and participated in an immersive program designed to cultivate emerging leaders who are capable of creating a positive impact in the Asia-Pacific region. Joyce began her career as a program officer at the United Nations Development Programme’s Shanghai office, where she managed relationships with partners in 24 developing countries, government entities in Asia and Africa, and international organizations. She then worked as a program manager and implemented development programs in Mali, West Africa. She has also spent time in rural Yunnan working as a program manager for World Vision China. Joyce holds a Bachelor’s degree in Politics and Public Administration from the University of Hong Kong and was selected to take part in a scholarship exchange program at the University of Salzburg during her university years. She has also completed short-term courses on development studies at Sciences Po in Paris. 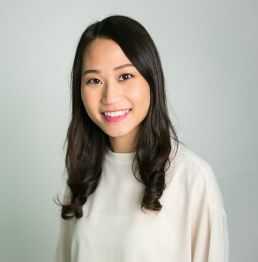 Ms. Cary Ho is the Communication & Development Manager at Bai Xian Asia Institute (BXAI) and oversees the execution and development of BXAI’s communications, and marketing strategy. Prior to joining BXAI, she was a marketing consultant at a China-based retail company and was responsible for designing promotional strategies to boost customer engagement and sales. Working in various locations including Guangzhou, Tianjin, and Kuala Lumpur, Cary enjoyed the opportunities she had to interact and collaborate with people from different cultures. During her undergraduate years, Cary studied in Vancouver, Beijing, and Sydney, which allowed her to recognize the value of mutual understanding across cultures, and inspired her to embrace diversity and engage with others who may be different from her. It was also during this time when her love for traveling was sparked – as she observed and experienced other lifestyles and customs, Cary gained fresh perspectives on life and the world around her, and realized that the beauty and complexities of humanity are only revealed through personal encounters with other cultures. Ms. Kitty Bin is Administrative Officer of Bai Xian Asia Institute. She manages the Institute’s daily finance, administrative and human resources matters in support of the Institute’s operations. Kitty has over 10 years’ experience in general administrative and human resources management. Prior to joining the Institute, she worked as a Senior Executive Assistant in the branded retail sector. She completed her undergraduate studies in Training and Human Resources Management in 2010. Kitty has many interests, including music, reading novels, and watching movies. She also enjoys travelling, experiencing new cultures and trying new cuisine. Ms. Agnes YEUNG serves as a Senior Associate at Bai Xian Asia Institute (BXAI). She assists in scholars and alumni management under the Asian Future Leaders Scholarship Program and supports BXAI’s development. Agnes received her Bachelor’s degree in English Studies at The Hong Kong Polytechnic University and studied abroad on exchange at The University of New South Wales in Sydney, Australia. As a mixing pot of global cultures, her passion for intercultural exchange was ignited during her stay in Sydney. Having made friends from all of the world, she also learnt about their different customs and cultures. Since her undergraduate studies, Agnes has actively volunteered at an international social work organization to champion capacity building projects in developing countries. She hopes her contribution would make a difference in the developing world. Prior to joining BXAI, Agnes worked in corporate communication advocating corporate social responsibility and youth development. In her spare time, Agnes enjoys reading, listening to music, watching movies, and travelling. She is an avid supporter of the performing arts and symphony and is always keen to explore the best taste in town! Ms. Erica TSOI serves as Senior Associate at Bai Xian Asia Institute and assists in operations and administration of the Asian Future Leaders Scholarship Program (AFLSP). Having a keen interest in civil & social development, Erica completed her undergraduate studies in Sociology in 2016. She has worked with various government agencies and joined the Secretariat of the Legislature as an intern during her undergraduate years. These experiences deepened her understanding and appreciation of the role of the public sector in society. Erica is passionate about travelling and experiencing new cultures firsthand. Throughout her studies, she visited many provinces in China and learnt about differences between different ethnic groups even within one country. In 2016, she took up work exchange in Japan once again. Working and travelling abroad, her appreciation of the differences and similarities between cultures continued to deepen and grow and she learnt to respect and get along with people from all across the globe. Erica hopes to devote herself to fostering cultural exchange amongst countries and different ethnic groups. Ms. Winnie SO has been a part of the Bai Xian family since its founding in 2013. She is Senior Associate at Bai Xian Asia Institute (BXAI), and supports the Programs and Operations team in the development and administration of the Asian Future Leaders Scholarship Program (AFLSP). 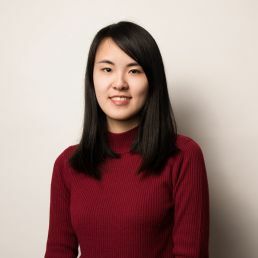 Prior to her current role at BXAI, Winnie served as Senior Associate at Bai Xian Education Foundation, where she assisted with program planning, communications, public relations, and overall management of the foundation. Throughout her tenure at Bai Xian, she has worked closely with the foundation’s Mainland Chinese partners and has also led a wide variety of projects encompassing areas of finance, arts and culture, and philanthropy. Winnie is passionate about engaging the younger generation to create positive social impact. While she was a high school student studying abroad in the US, she was appointed International Student Ambassador, which sparked her interest in event planning and cross-cultural work. 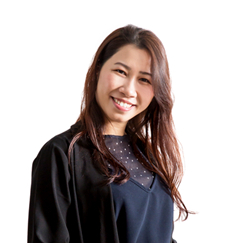 Since returning to Hong Kong and earning her bachelor’s degree in economics and finance from the University of Hong Kong, she has remained involved with various youth and volunteer organizations across the city in her mission to empower the next generation of leaders. Mr. Manson LEUNG serves as an Associate at Bai Xian Asia Institute, and assists in design and production for the promotion of the Asian Future Leaders Scholarship Program. Manson received a Bachelor of Media and Social Communication degree from Hong Kong Baptist University in 2016. Having a keen interest in social issues, he completed various media projects in university, interviewing multiple sectors of society to document the effects of social development in Hong Kong. Manson completed an internship at a renowned local film production company. This experience expanded his horizons, deepened his understanding of the creative industry, and fueled his interest in further developing his own creativity. Manson enjoys volunteering with Caritas, YMCA, and numerous other organizations to give back in his leisure time. His other interests include hiking, photography, reading, and he has a phenomenal singing voice. Ms. Amber CHAN is Assistant Associate at Bai Xian Asia Institute (BXAI) and supports the Programs and Operations team in the development and administration of the Asian Future Leaders Scholarship Program (AFLSP). Amber’s passion for social issues led her to pursue a bachelor’s degree in media and social communication at Hong Kong Baptist University, where she learned how to utilize media and communication strategies to effect positive social change. During her university years, she spearheaded a number of media projects that involved connecting with people from all areas of society to reveal the true face of Hong Kong. Outside of her studies, she enjoyed being part of the university Christian band, where she had the opportunity to perform for and reach out to people from all walks of life in the city. Since graduating in 2017, Amber continues to tap into her background in journalism to stay abreast of the latest developments from around the world, especially in relation to social issues, innovation, and culture. She enjoys meeting new friends and taking up new challenges and looks forward to further expanding her horizons at BXAI. Ms. Fiona CHONG is Assistant Associate at Bai Xian Asia Institute (BXAI) and supports the Communication and Development team in the promotion of the Asian Future Leaders Scholarship Program (AFLSP) and the execution of BXAI’s media, communications, and marketing strategy. Fiona graduated with a bachelor’s degree in English Language and Literature from Hong Kong Baptist University in 2018 and studied abroad in the United States during her junior year at Carroll University in Wisconsin. Her immersion in a multicultural setting ignited a passion for traveling, learning new languages, and discovering new cultures, and ultimately led her to pursue a minor in Spanish. In her spare time, Fiona enjoyed singing in the university Christian band. The opportunity to organize and perform at various events across Hong Kong allowed her to use her talents and love of music for good to inspire and serve many people in the community. Looking ahead, Fiona hopes to transform her passion for language and culture into action, and looks forward to promoting peace and collaboration in Asia by building bridges across cultures with BXAI.